Finding peace in your daily life can be a full time job. Always seek it. 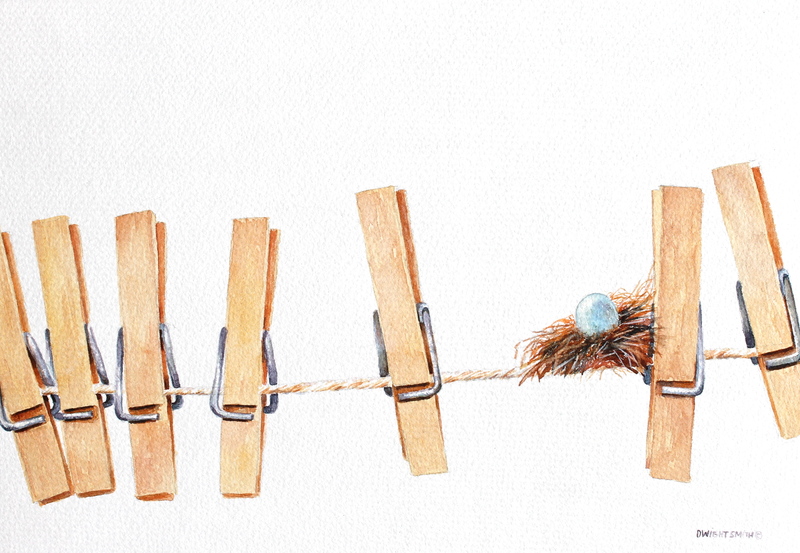 This is an original watercolor still life painting of clothes pins with nest and egg. It is painted the realist tradition.